200 Apple® Brand Bags 1212 Ziplock 1/2 x 1/2 inch reclosable 2.5 MIL thickness, red color. 200 Biker Baggies 1010 Apple® Brand Bags 1 x 1 in. 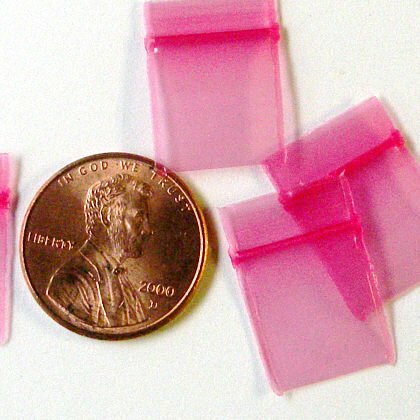 200 Batman Baggies 5858 ziplock bags 5/8 x 5/8"